Selected Austrian wines, to be enjoyed in our restaurant or to order! You can enjoy nice wines in our restaurant and if you like them our wine shop is right there. Have you discovered your favourite wine for at home while dining at a restaurant? Or have you been recommended an exceptional wine or discovered it during a holiday in Austria? Our wine shop is open from 11:00, please give us a ring and we will be delighted to show you our wine selection. We offer over 400 different wines from more than 86 vintners. We aim to represent the complete variety of Austrian wines in our selection. What a beautiful, little bottle, fits great into your luggage, besides the fact that its content taste delicious. 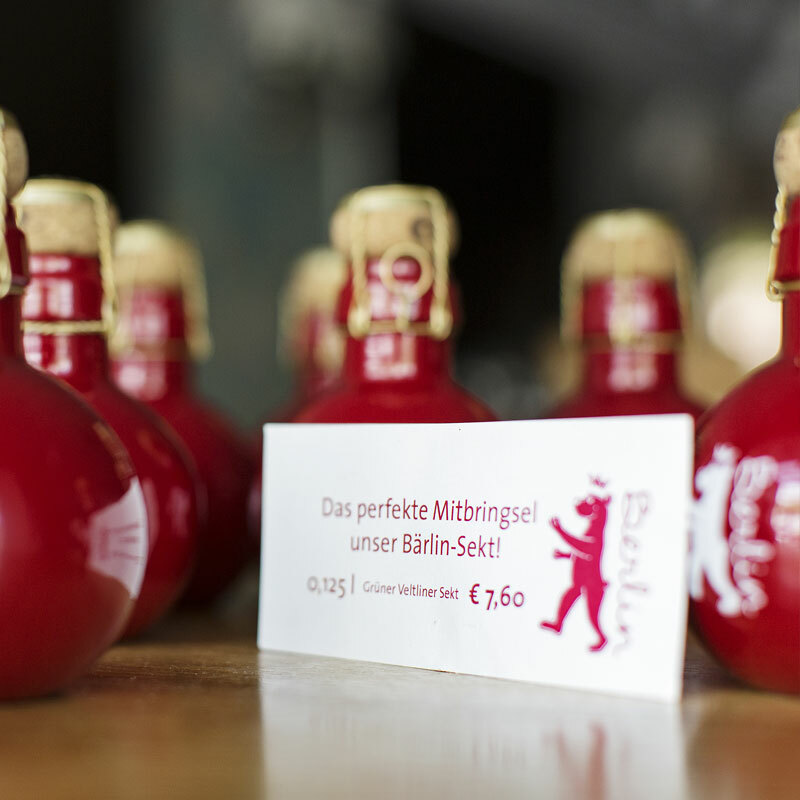 The perfekt Bärlin-Souvenir to bring home and drink with your beloved ones to celebrate your homecoming. Enjoy the taste of Berlin!